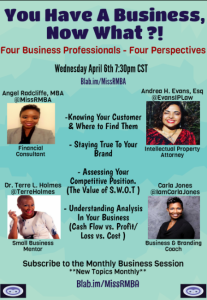 Tune into blab.im/missrmba on Wednesday, April 6, 2016 at 8:30p US eastern to learn more about staying true to your brand. You create a brand and I hope that you are protecting your brand. But, are you staying true to your brand? Are you policing your brand? Are you enforcing it? Are you using it properly? I will discuss ways to ensure you are properly using your trademark. 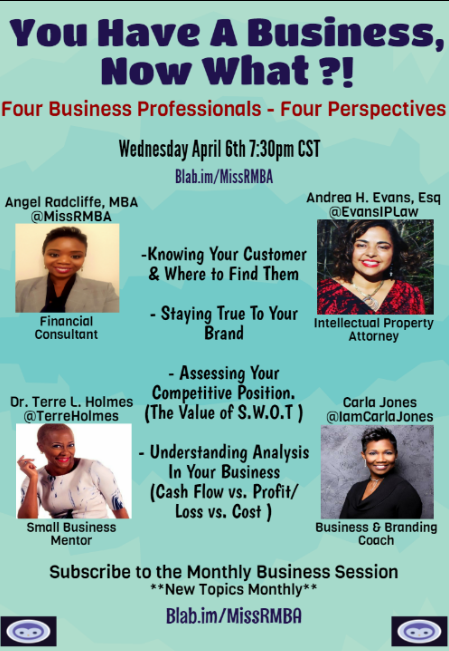 See you on BLAB! Follow me on Blab at blab.im/evansiplaw. Are you staying true to your brand?